MANILA, July 1 -- A visiting US-based Filipino-American lawyer has called on all freedom-loving Filipinos to rally behind the government’s war on terror, warning that if left unchecked, the tentacles of terrorism will engulf the entire Asia-Pacific region. During the weekly Balitaan sa Rembrandt Forum in Quezon City on Friday, Atty. Arnedo Valera, executive director of the Migrant Heritage Commission MHC) based in Washington, DC, said all Filipinos -- both Christians and Muslims -- must give their unconditional support to President Rodrigo Duterte’s all-out war against the Maute terror group that has been laying siege to Marawi City for more than a month now. He defended President Duterte’s action to declare martial law in Mindanao for 60 days last May 23 when some 500 Maute militants attacked Marawi City while Duterte was in Moscow for an official visit. The President had to cut short his visit and return to Manila immediately to attend to the national security problem. Valera said Duterte's declaration of martial law in the entire Mindanao region following the siege in Marawi City is in accordance with the 1987 Constitution. The fighting in Marawi, now on its 39th day, has so far killed 303 Maute terrorists, along with 82 soldiers and police officers and 44 civilians. Earlier, Valera asked Filipinos “to pray for our military troops in Mindanao and their families, as well as the civilian families, and those engaged in providing humanitarian services”. “Likewise, join me in a prayer for President Rodrigo Duterte and all government officials,” he said. 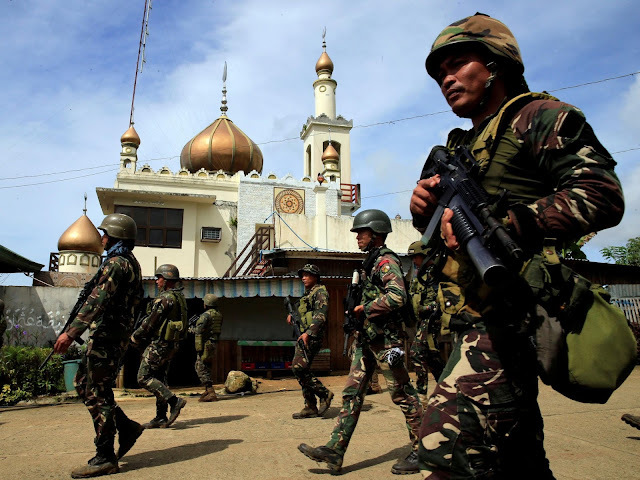 Valera stressed the importance of prayer “for Divine protection to the Filipino troops fighting against rebellion and terrorism in Marawi City, and to bless their mission that it may lead at last to enduring peace, and prosperity to the entire region”.